Recently, I spoke with Heather Benham, Director of Operations of Athens Land Trust, and Christina Hylton, their Community Agriculture Program Director. 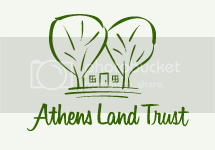 Athens Land Trust (ALT) is a non-profit founded in Athens in 1994 that works to preserve land, increase access to energy efficient housing, and revitalize neighborhoods. We discussed ALT’s role in the community and the Athens Heritage and Urban Agriculture Festival they are sponsoring this Saturday, November 2nd. Greyson: What generally does Athens Land Trust seek to accomplish in the community? To promote the quality of life through the integration of our community and the natural environment by preserving land, creating energy-efficient and affordable housing, and revitalizing neighborhoods. Greyson: What types of projects does ALT implement to accomplish their vision? We provide affordable homeownership opportunities for first-time buyers, quality affordable rentals, community gardens, and we protect sensitive land from development. Greyson: Does ALT partner with other community groups? If so, for what projects have partnerships formed? We work with so many community groups. Our partnership with the Athens-Clarke County School District has resulted in the amazing in town farm and farmers market at the Old West Broad School. 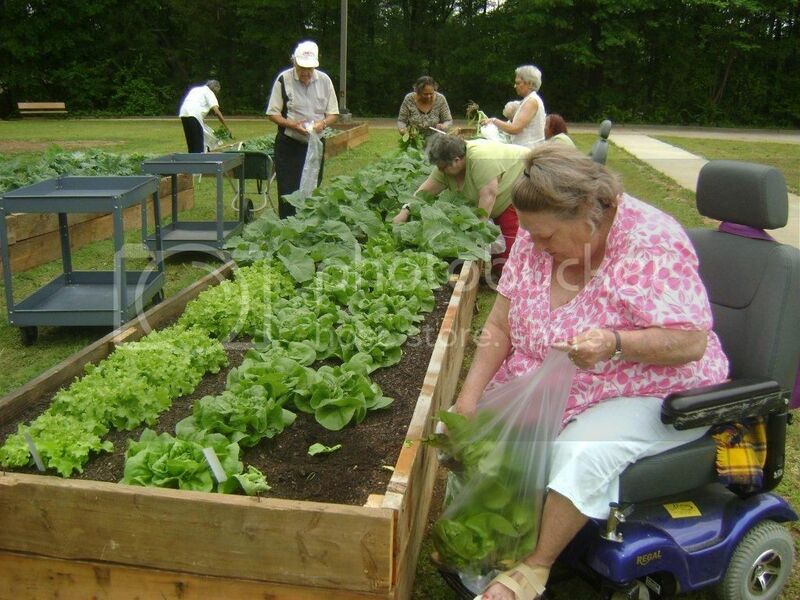 Our partnerships with UGA’s College of Agriculture, Keep Athens-Clarke County Beautiful and Cooperative Extension have resulted in a network of community and school gardens around Athens. Our partnerships with Athens Housing Authority, Athens Area Habitat for Humanity, and Hands on Athens have resulted in neighborhood revitalization around our community. Our partnerships with the Conservation Fund, Riverview Foundation, and Athens-Clarke County Unified Government has resulted in the protection of important riparian lands around Athens. Greyson: I want to focus in on one of the results of the partnerships: the West Broad Market Garden. There’s an event coming up on November 2nd, The Athens Heritage and Urban Agriculture Festival. The event is being held in the courtyard of the historic West Broad School (1573 West Broad Street). What is happening at this event and how does it highlight Athens Land Trust’s role in our community? Every first Saturday of the month, the West Broad Market Garden hosts a farmers market. On November 2nd, the Athens Heritage and Urban Agriculture Festival will be held in conjunction with the farmers market. This event will honor current and past African Americans who have contributed to the preservation of Athens’ African American Heritage, especially as it relates to West Broad School. Greyson: Why was the West Broad School, site of the West Broad Market Garden, selected as the location for this event? Greyson: This is a great concept! What specifically will be going on at the festival to share this message of connectivity and urban agriculture? A number of things: The festival incorporates African American history, with awards given to community members and representatives who are linked to this history. There is also an agricultural history aspect, with old agriculture equipment and products on display. The monthly farmers market and its regular programs will also be underway: workshops on sustainable agriculture, cooking demonstrations, healthy eating seminars, and much more. Those using EBT get double dollars for their purchases. Many of the vendors at the farmers market are local community members. We hope to see everyone there! Greyson: Aside from this event, in what ways could interested individuals become involved with ALT? By contacting our office at (706) 613-0122. We have all types of volunteer activities – there’s something for everyone! Greyson: Where do you see ALT going from here? What new goals would you like to see ALT take on in the future? Through our work in agriculture and neighborhood revitalization we see the importance of helping individuals with economic development and entrepreneurship activities. This work creates healthier neighborhoods and is critical to improving the quality of life for area residents. We have begun working with youth and adults on these skills and believe that more can be done in this area. Mark your calendars for the Athens Heritage and Urban Agriculture Festival this Saturday November 2nd, and if you have some spare time check out how you can help Athens Land Trust. You can find out more on their website and their Facebook page. Have a great weekend!